Student loan consolidation can provide you with a number of benefits as a borrower. However, there are also some potential drawbacks that you will want to be aware of before making a decision to consolidate. Here are a few potential hazards of student loan consolidation. 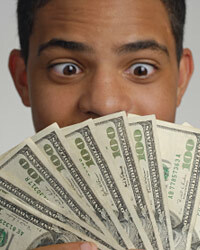 Many people consolidate their loans in order to get a lower monthly payment to work with. They might even be getting a slightly lower interest rate than what they had. When doing this, most of the time they are also agreeing to a much longer repayment period. When this happens, you are going to be paying significantly more in interest over the life of the loan. The decision to consolidate your student loans is not one that can be undone. Once you consolidate, you cannot go back to your original loan. This means that you need to make sure this is what you want to do before making the call. If you consolidate a federal loan into a private consolidation loan, you will lose several important benefits. If you run into trouble with a federal loan, you can utilize a deferment, forbearance, and sometimes loan forgiveness programs. If you consolidate into a private loan, you will not have these options available.